You've read the book, now its time to find and develop your own stories. In this course Mike instructs you on how to prepare your own FIGHT stories - then you get to practise them! Mike has a deep knowledge of overcoming sales challenges and uses pertinent examples to convey his point that stories are a more effective way to show clients how their needs can be met. 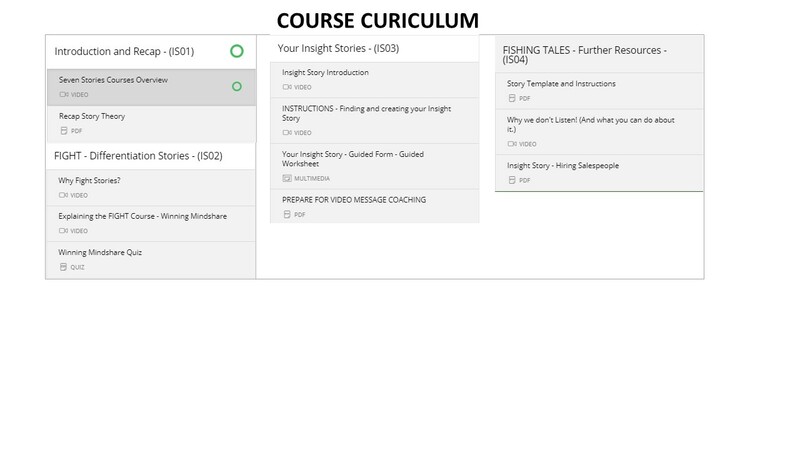 I found the Story Selling workshops to be invaluable and helped me learn an extremely useful new technique.